If your sprinkler system is on the fritz, call the experts in Central Illinois: Commercial Turf & Irrigation. 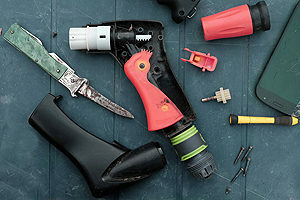 We know it can be hard trusting just anyone to repair your home’s or business’ sprinkler system. There are so many expensive and sensitive parts, which is why you want to choose a company with experience, integrity and skill. As your leader in sprinkler repair backed by 30 years of experience, you can count on us to deliver on a track record of excellence. For sprinkler repair Pekin, IL will appreciate, Commercial Irrigation & Turf is your first choice. Tap into our expertise in geothermal well field installation as well as our other residential and commercial offerings. Our service area includes Peoria, Bloomington and Champaign, as well as surrounding areas. 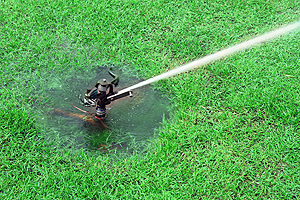 Sprinkler repair is crucial in order to fix immediate problems, such as malfunctions and leaks. But you also need to keep up with repairs to improve water run-off, conserve water and maintain a lush, sustainable landscape. We achieve high-quality repair through the use of application-specific tools and machinery so the installation and repair process is smooth and seamless. Commercial Irrigation and Turf stands behind our work and products with a full warranty for your peace of mind. Want to know more about our sprinkler repair services? Get prices and details by calling Commercial Turf & Irrigation today at 309-698-3011 or fill out our online form. We are conveniently located in East Peoria at 109 Commercial Drive and would be happy to provide you with quality sprinkler repair in Pekin, IL.